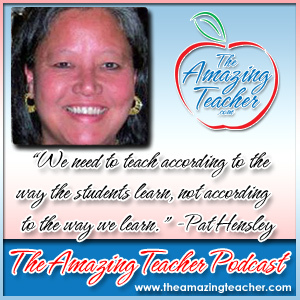 This week, my guest is Pat Hensley from Successful Teaching. She’s known online as Loony Hiker. 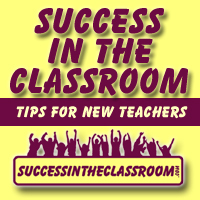 Pat was one of the first bloggers who I found online when I started SuccessInTheClassroom. She has always been so helpful to teachers, new teachers especially, so I was so pleased when she agreed to share some of her amazing wisdom on the podcast. Pat shares that amazing teachers are flexible, organized and willing to try new things. One of the ideas that Pat offers new teachers is something that she did with her students. She would call home to brag about each student. Yes, brag! She says that this was one of the strategies that had the greatest effect in her classroom. She also made each of her students write, “I am a born winner” on their papers. I thought this was a great take-away that teachers can do with their students to help reinforce that self esteem that is so important for student success. I left my interview with Pat Hensley inspired to want to make a bigger difference in the lives of my students. I am confident that you will find great value in what she shares as well. Take a listen, and be inspired.